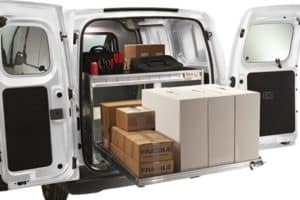 We are pleased to announce that our product line of cargo management solutions for the 2015 Chevy City Express is available for order. 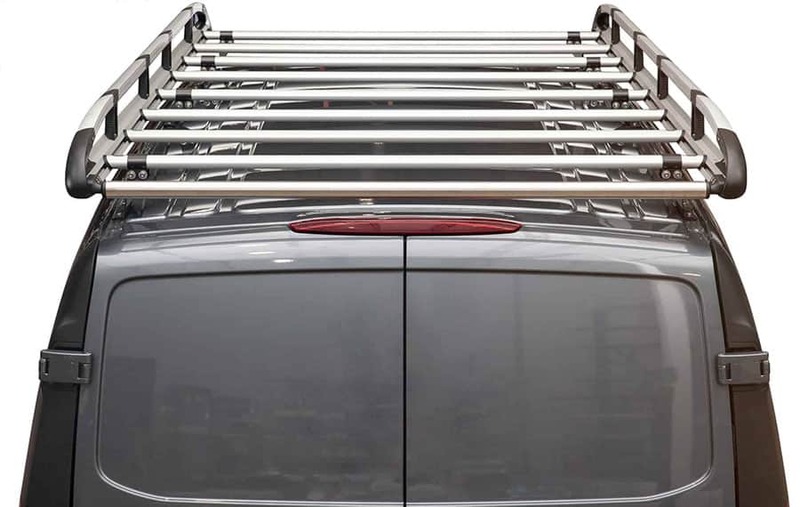 Ladder racks, van shelving, partitions and accessories are available specifically designed for contractor, service, electrical, HVAC and delivery tradesmen. 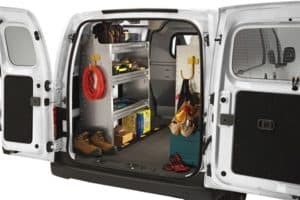 All Chevy City Express shelving package configurations are available through Ranger Design’s industry-exclusive Quickship program. Quickship ensures that orders ship out within 24 hours. 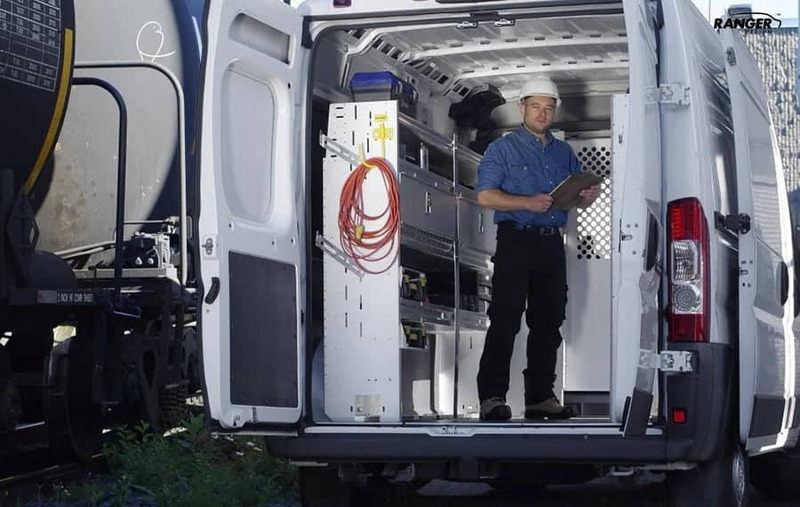 Ranger Design’s equipment for the City Express cargo van is engineered for perfect fit and finish to ensure a quiet ride with no rattles. 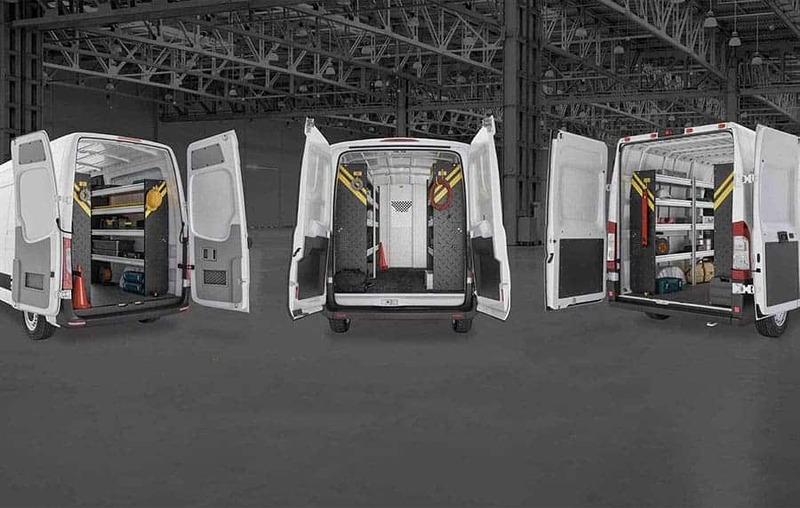 Backed by a warranty of up to ten (10) years Ranger Design upfit packages are designed to improve efficiency and effectiveness of mobile technicians by reducing downtime. Ladder racks: Standard ladder racks are available as well as ultra-tough racks that can transport 28’ ladders. Partitions: Designed to maximize seat travel as well as optimize floor space. Shelving: Ranger Design’s durable shelving is designed to optimize mobile technicians’ work space while not compromising on quality. Fold-away shelving: Has a capacity of 65 lbs. per liner foot of static load. Drawer systems: Feature high impact drawer slides, with quick to use latching systems. Speak to your local Ranger Design dealer about the 2015 Chevy City Express Cargo Van. Contact our customer service team 800-565-5321 with any questions. See Ranger Designs Chevrolet City Express Photo Gallery for more pictures.